1887 – A man called “Old Man” Leonard was the first settler. 1889 – Leonard built a Dance Hall Pavilion and campground known as “Leonard’s Landing”. 1900 – James and Jane Peck with their grown sons Harry 26 and Ernest 24 purchased the waterfront and surrounding acreage and built a small store, a cabin and enlarged the dock. 1902 – Ernest Married and brought his bride to live in the cabin. 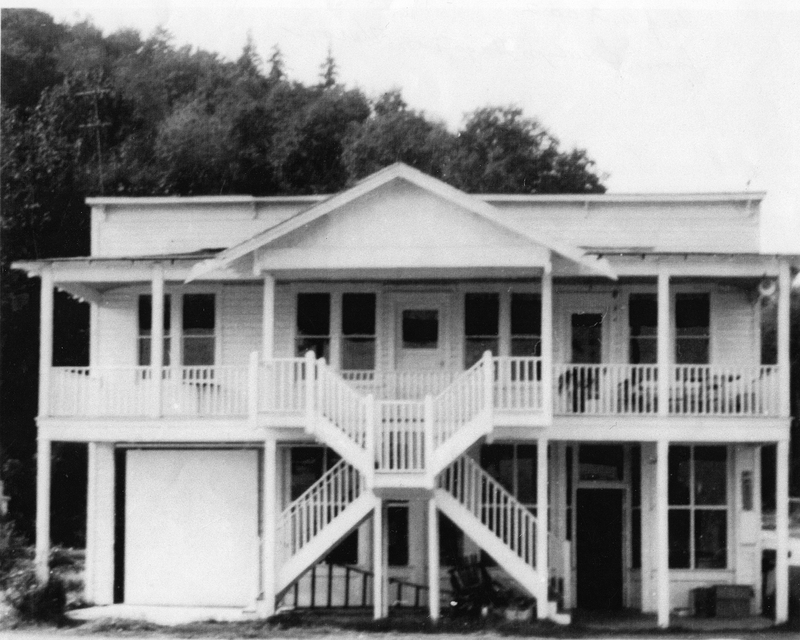 1907 – Ernest and Harry built the hotel. 1907 – The Pecks and the Peterson brothers, who had come four years prior, joined together to incorporate the Glendale Improvement Company on February 25, 1907. The object was to buy and sell real estate, mortgages, or take mortgages, options, etc., to acquire anything necessary to conduct logging business etc. E.E. Peterson was named President and W.H. Peterson was Secretary. 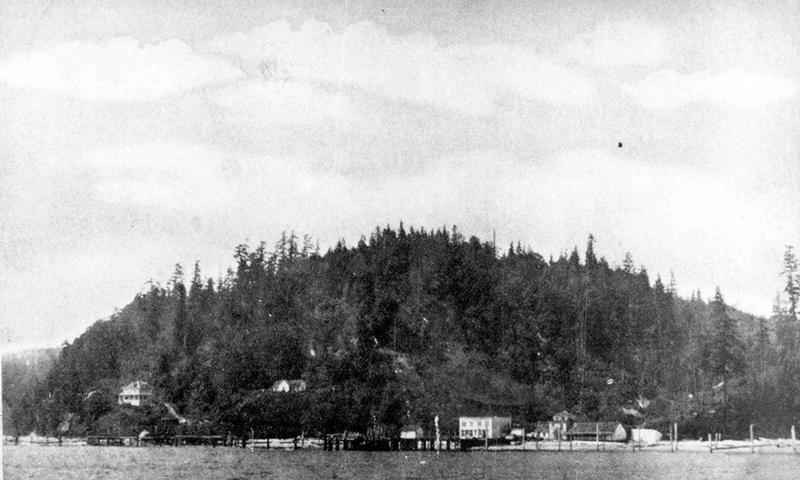 1910 – On March 26, 1910, the Puget Sound Land and Timber Company, the Bank of Stanwood, H.C. Anderson, H.W. White & Improvement Company, J.W. McFadden & Donald McFadden, and the Eastern Logging Company combined forces with the Glendale Improvement Company. 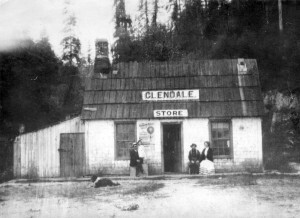 Glendale has the distinction of having the only railroad which operated on Whidbey Island. 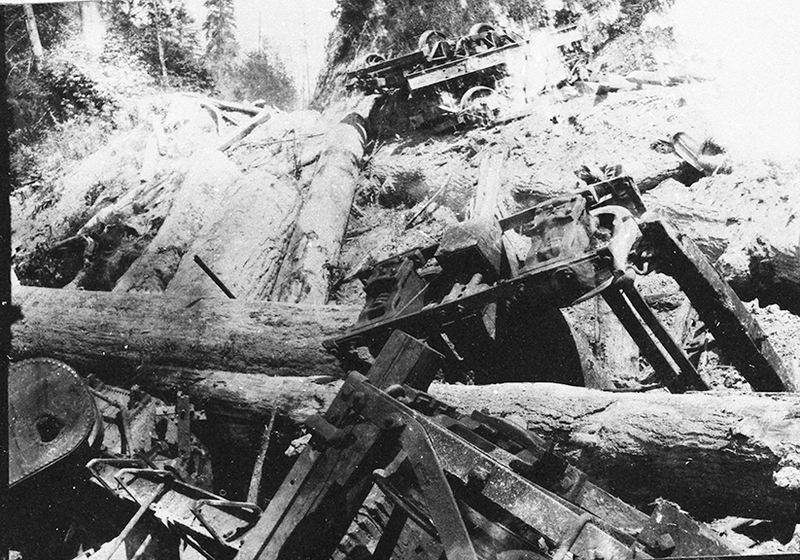 The Baker Bros. Logging Company started the railroad whose headquarters was at what is now the intersection of Glendale and Jewitt Road. The tracks ran inland from Glendale through to the Cultus Bay area, up toward what is now Log Cabin Road, and then to the area known as Ken’s Korner. 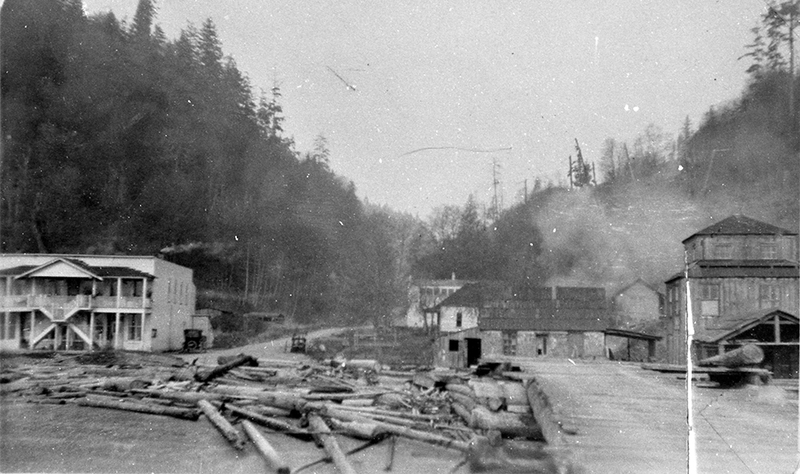 Although the main purpose was to haul logs to the Glendale waterfront, it also brought in mail, produce, and other necessities to logging camps and families. 1924 – What is known as the ”Ford Building” was built to sell and repair cars. 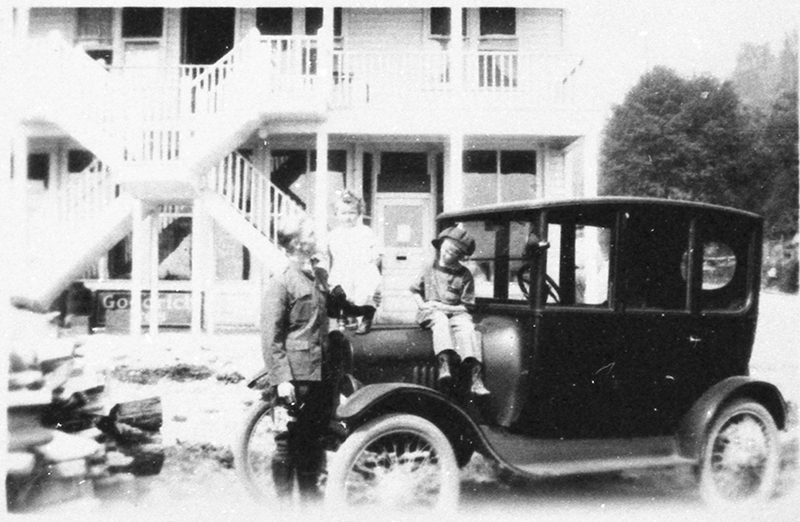 This was the first car dealership on South Whidbey Island. The building was owned by the Glendale improvement Company. The upland area had rich soil and because of this there were several productive farms surrounding Glendale. One farm shipped green onions to the Everett market during the winter months at a very good profit.